Welcome to Kauai County Farm Bureau's website. Affiliated with the Hawaii Farm Bureau Federation and the American Farm Bureau, Kauai County Farm Bureau is a grassroots member based non-profit organization of farming families and friends of farmers united for the purpose of analyzing problems and formulating action to ensure the future of agriculture, promoting the well-being of farming and enhancing the local economy. 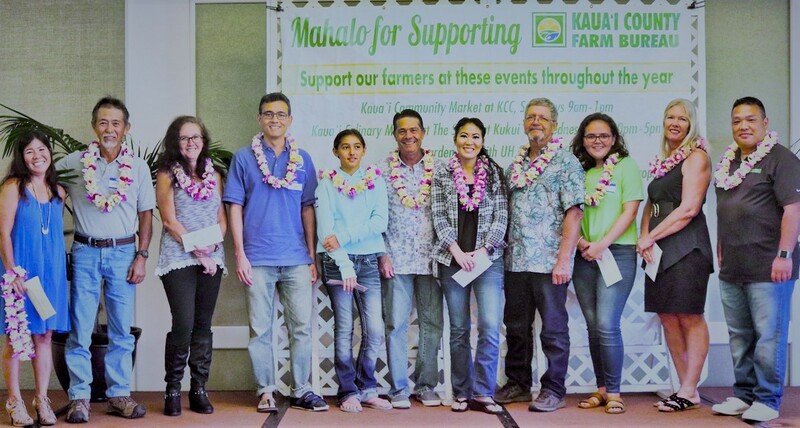 Please contact us to find out more about Kauai County Farm Bureau and to join us in supporting Kauai farmers. 2019 Scholarship Applications are available now. Membership When you become a member of Kauai County Farm Bureau, you are also a member of Hawaii Farm Bureau Federation representing counties statewide. For more about HFBF, as well as membership information and application, please visit hfbf.org. Legislative Farm Bureau is a way that farmers work together on a local, state and national level to highlight and raise issues that are critical to agriculture. For more information on HFBF legislative priorities and work, please visit hfbf.org. Kauai Community Market's Annual Holiday Fair! 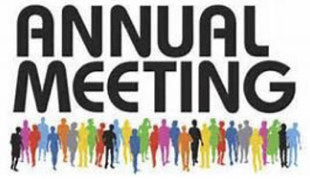 Annual Members Meeting & Board of Directors' Elections August 2018 at the Kaua`i War Memorial Convention Center Exhibit Hall Held every summer for fellowship and information exchange. New members and guests welcome! 23rd Annual Agriculture & Environmental Awareness Day An annual "Ag in the Classroom" program for Kauai 5th graders held each May, in partnership with University of Hawaii College of Tropical Agriculture & Human Resources (CTAHR). May 2018, date to be determined - Kauai's 5th Graders are coming to visit the UH Wailua Research Station. Ag Scholarship Program Six scholarships available to support students of agriculture and farm families. Farmers Markets Kauai County Farm Bureau currently hosts two value added farmers markets in conjunction with our island partners. Support our Kauai farmers and the small businesses that support them at these weekly Markets featuring Kauai Grown products. Kauai Community Market, a cooperation with Kauai Community College, is a weekly Saturday farmers market in central Lihue featuring Kauai Grown items from Hanalei to Kekaha - fresh flowers, produce, tropical fruits, plants, seeds and starts, and a wide range of value added products fresh from the farm – honeys, goat cheese, local coffees, variety of baked goods, chocolate covered bananas, kim chee, spices, treats and more. Sample local foods and ono plate lunches and breakfast items weekly. 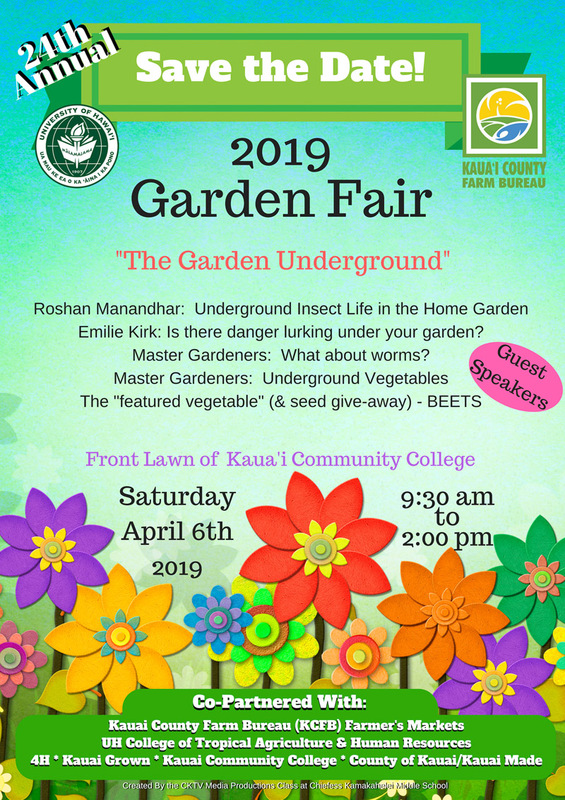 Plus find out more about growing your own with KCC sustainable agriculture programs. For featured vendors, special programs and market application, visit kauaicommunitymarket.org. Kauai Culinary Market, a cooperation with Shops at Kukui'ula, is a weekly afternoon farmers market offering fresh tropical fruits, flowers, value added farm products like goat cheese, honey, coffee, plus variety of local treats inside the beautiful landscaped Shops at Kukui'ula shopping destination. Held Wednesday afternoons with a "pau hana" atmosphere, the market features Hawaiian music, a weekly cooking demonstration, baked goods by Living Foods market, and a beer and wine garden by Merriman's. » Visit kauaicommunitymarket.or for information. 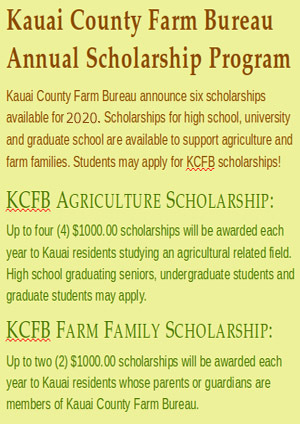 All contents © Kauai County Farm Bureau - the Voice of Agriculture on Kauai.